All the yellow has been done today and yesterday. The blue is the knitting from day 299, as well as yesterday, when I did the last 4 rounds. 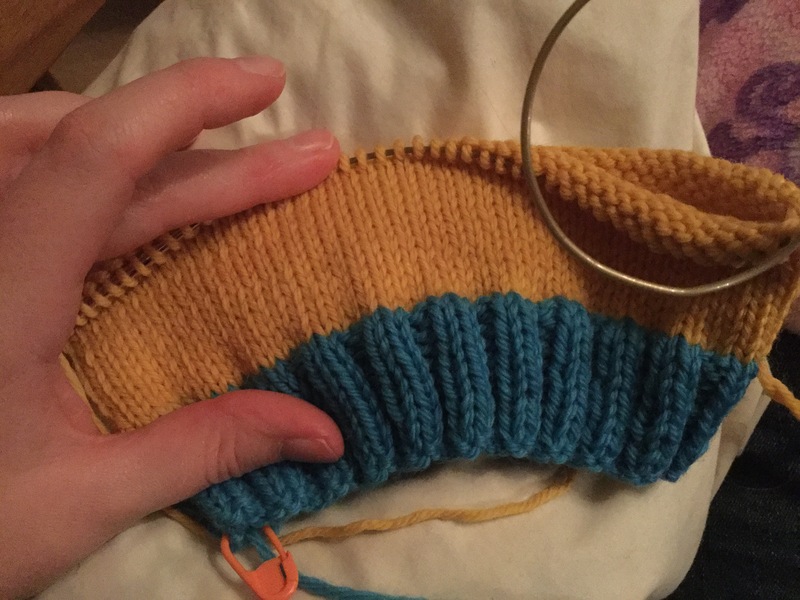 Next, I’ll knit the black stripe for the goggle band. I also wound some of my lovely new Cascade 220 yarn into balls, as it arrives in skeins. I wound the pink, white and tan ones, 600m of yarn! 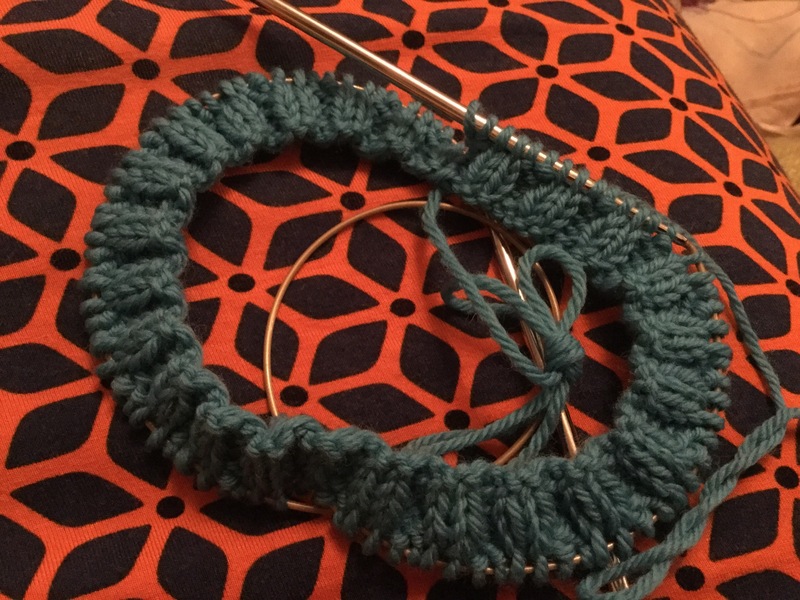 Cascade 220 is my favourite yarn to knit kids toys with. It is hard wearing but still soft enough to cuddle, washes well, is easy to knit with, and comes in a huge range of colours. 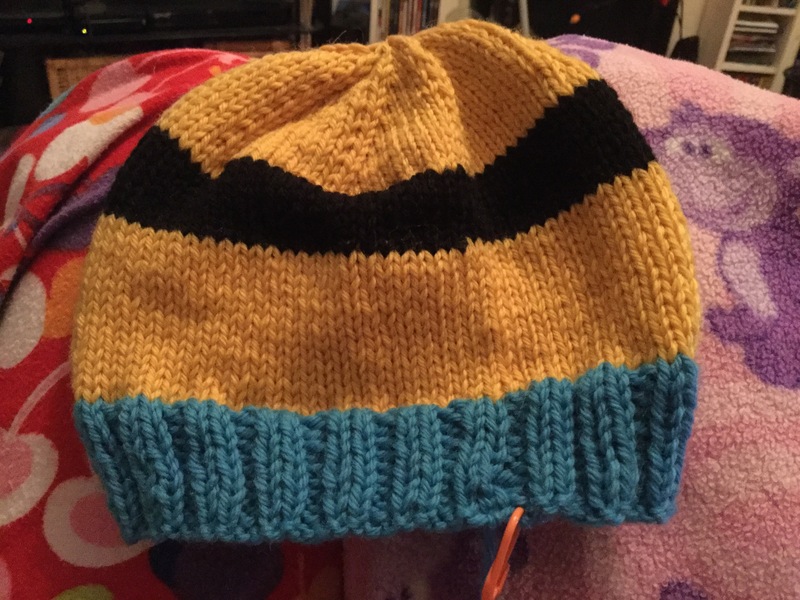 My new wools arrived today, so I did the first 5 rounds for another Christmas project, a pair of Minion Hats for my nephews.i did the first 5 rounds of rib, but can’t share a photo as I left it at work. 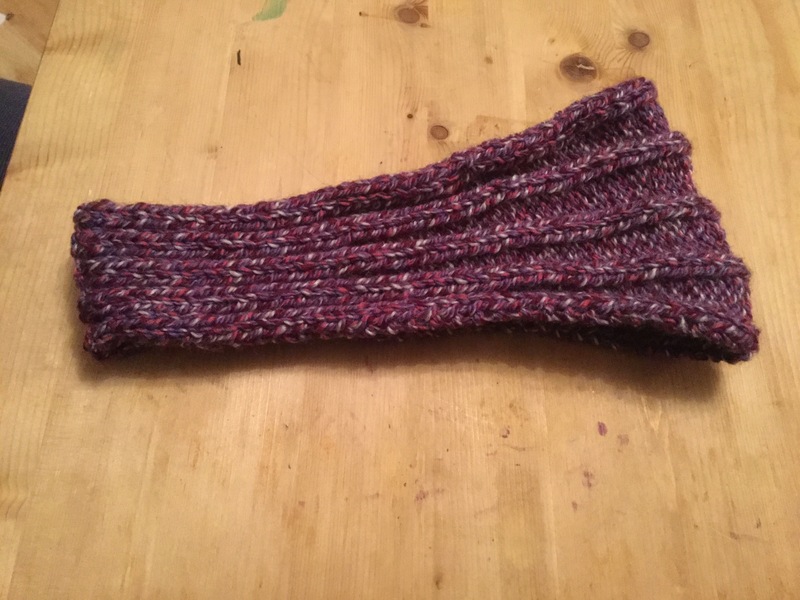 It is a good length, and wide enough to keep the tops of my ears warm without wiggling out of the way. 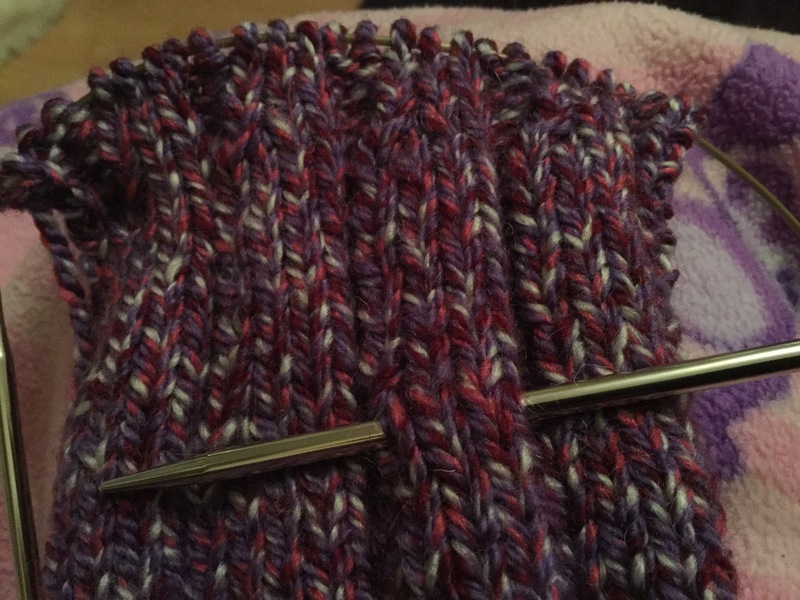 I did a section and a half of the decrease rows while watching Harry Potter and the Order of the Phoenix.